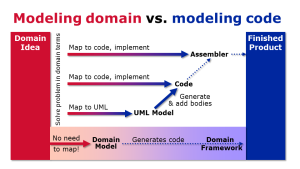 This video introduces you to Domain-Specific Modeling, and demonstrates with a small example how it is different from general purpose modeling languages like UML. This video describes industrial experiences on DSM in four different domains: home automation, military radio, touch screen device and sports computer applications. 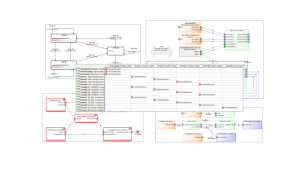 This video demonstrates Domain-Specific Modeling in 20 different application domains. 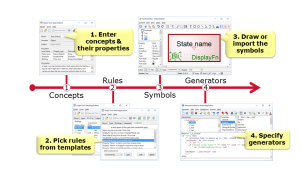 This video outlines the steps of creating a DSM solution: Defining the modeling language concepts and rules, drawing the notation and making the code generators. 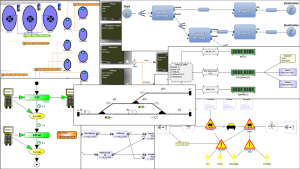 Each step of DSM definition is demonstrated with MetaEdit+. 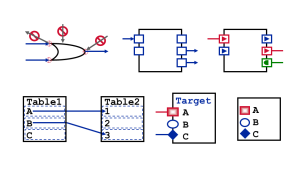 MetaEdit+ lets you define rich graphical notations with dynamic behavior. A demonstration shows how to create advanced dynamic visualizations and ports for domain-specific languages. 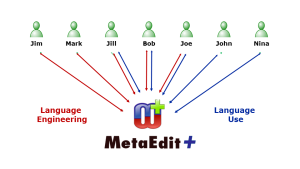 This video demonstrates how multiple developers can work seamlessly together with MetaEdit+ multi-user version. 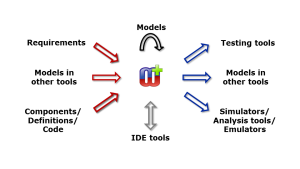 This video demonstrates different model to model transformations in MetaEdit+: running transformations with external code files, office tools like Excel, XML files, other models in MetaEdit+ and with models outside MetaEdit+. 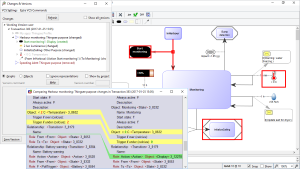 This video demonstrates scalability of MetaEdit+: large projects, containing hundreds of thousands model elements, open quickly and individual tools like browsers, model editors and generators continue to work as fast as it does for small projects. See how model changes and versions can be tracked and viewed in a tree view, graphically and textually. 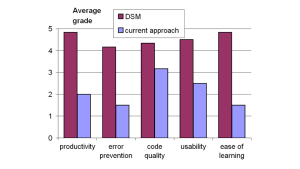 Versions can be saved to version control systems like Git and SVN. 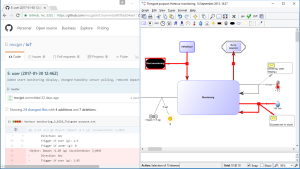 See how models created in MetaEdit+ are versioned with GitHub. 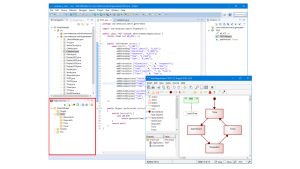 See how models created in MetaEdit+ are versioned with SVN. 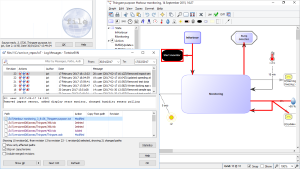 This video demonstrates how Eclipse can be integrated with MetaEdit+. 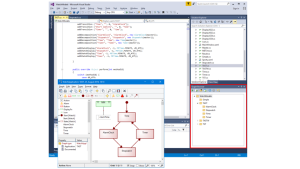 This video demonstrates how Visual Studio can be integrated with MetaEdit+. 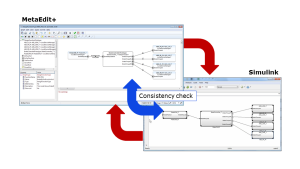 This video shows how models in MetaEdit+ can be transformed for Simulink and how MetaEdit+ can check consistency between the models in different tools. 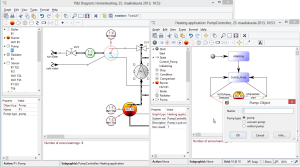 This video shows how PLC code (IEC Structured Text) is generated from Domain-Specific Models and executed in TwinCAT.